This article was past on to me and I thought every one should see what we already know. Chiropractic WORKS. About two of every three people will probably experience significant low back pain at some point. A physician like me might suggest any number of potential treatments and therapies. But one I never considered was a referral for spinal manipulation. It appears I may have been mistaken. For initial treatment of lower back pain, it may be time for me (and other physicians) to rethink our biases. Most back pain resolves over time, so interventions that focus on relief of symptoms and allow the body to heal are ideal. Many of these can be nonpharmacological in nature, like the work done by chiropractors or physical therapists. Physicians are traditionally wary of spinal manipulation (applying pressure on bones and joints), in part because the practitioners are often not doctors and also because a few chiropractors have claimed they can address conditions that have little to do with the spine. Patients with back pain haven’t seemed as skeptical. A large survey of them from 2002 through 2008 found that more than 30 percent sought chiropractic care, significantly more than those who sought massage, acupuncture or homeopathy. Researchers have been looking at the evidence supporting spinal manipulation for some time. Almost 35 years ago, a systematic review evaluated the available research, most of which was judged to be low in quality, and found that there might be some short-term benefits from the procedure. Two reviews from 2003 agreed for the most part, finding that spinal manipulation worked better than a “sham procedure”, or placebo, but no better or worse than other options. But since then, data have accumulated, as more higher-quality studies have been performed. Recently, in The Journal of the American Medical Association, researchers looked for new studies since 2011, as well as those that had been performed before. The only things that might detract from the use of spinal manipulation in this situation would be its cost and potential harms. Because they fear those potential harms, some physicians are hesitant to refer patients to chiropractors or physical therapists for care. But in all the studies summarized above, there were really no serious adverse events reported. It’s possible to find anecdotes of harm to the spinal cord from improper manipulations, but these are rare, and almost never involve the lower spine. Medication and surgery can also lead to harms. We shouldn’t forget that prescription pain medications, like opioids, can lead to huge costs, especially when they’re misused. Some physicians are uncomfortable that we don’t have a clear picture of how spinal manipulation actually works to reduce pain. 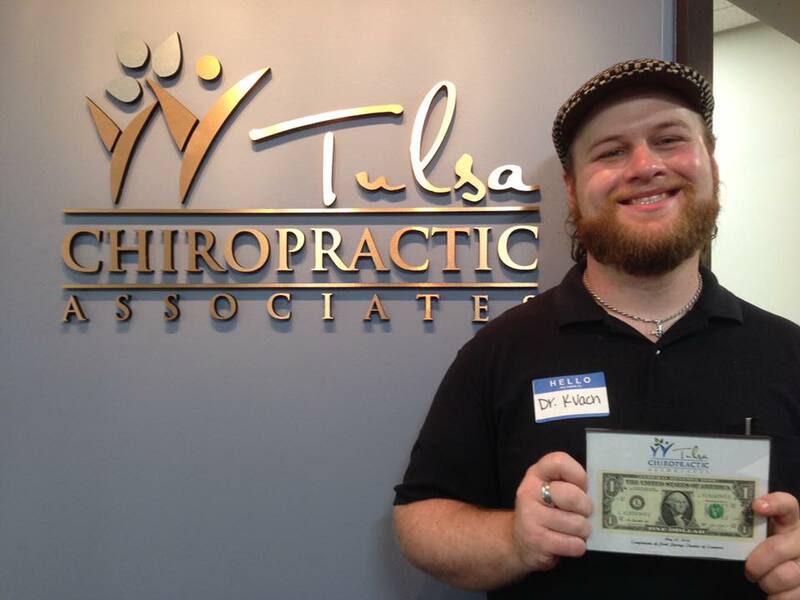 It’s also possible that some chiropractors do it “better” than others, and we can’t tell. This concern should be tempered by the fact that we don’t have a great understanding of why many other therapies work either. Some of the more traditional things we recommend don’t even work consistently. Still, there is no merit to many other claims about spinal manipulation — that it has been proved to work for things like infantile colic, painful periods, asthma, gastrointestinal problems, and more. For most conditions, the therapy lacks a good evidence base. But given the natural course of back pain — that most of it goes away no matter what you do — the ideal approach is to treat the symptoms and let the body heal. Noninvasive therapies seem to do that well enough. After a ride on your bike, have you experienced numbness, tingling, or pain in your arm, hand, wrist, or little finger? If you have, you could be suffering from an overuse injury. Approximately one-third of all bicycling overuse injuries involves the hands. The 2 most common are what we call “handlebar palsy” and carpal tunnel syndrome. By making some adjustments to your bike, posture, and by wearing some protective equipment, you can prevent these injuries from occurring. Adjust your handlebars, seat and pedals to best suit your body and allow you to sit in a more upright position. Sitting upright will take the weight and pressure off of your hands and wrists. Wearing padded gloves may also reduce shocks and jolts to your body, which travel into your wrist joints from the road and can lead to pain. The carpel tunnel is a small gap between the many small wrist bones and a flat ligament at the base of the wrist. Ten tendons go through this small tunnel and are responsible for flexing the hand and fingers. A nerve also passes through this tunnel. Degeneration or mechanical stress can easily injure these small tissues resulting in a loss of function of the hand. I see this position quite often when I conduct rider assessments. The tendons are stretched to near full length. Vibration or impact from the front wheel, such as a bump in the road, can then cause a trauma as the wrist is forced to extend too far. This position allows shock to travel up the arm while supported by the bones and cartilage, which are much stronger tissues than the fine tendons and ligaments supporting the fingers. One reason we ride incorrectly is simply due to lack of knowledge or bad habits. But another reason can be weak wrist flexors. If you are a regular gym-goer, there are some tests you can do with pressing exercises to assess and control these flexors. To conduct the test of your hand position you will need a set of grips, a suspension trainer, or a set of rings. You are going to check for correct wrist alignment while you perform a push up on this gear. Avoiding injury doesn’t end at hand position, though. Should you hit a large bump in the road, and you manage to avoid wrist injury, the shock will continue to travel up the arm to the elbow. This is the second potential area of injury due to incorrect position. This allows any movement of the handlebars to be taken up by the elbow flexing. If you ride with your elbows stiff or locked, then vibration and shocks may extend the elbow too far and lead to trauma. So please remember to keep your wrists straight and elbows flexed when out on the bike. 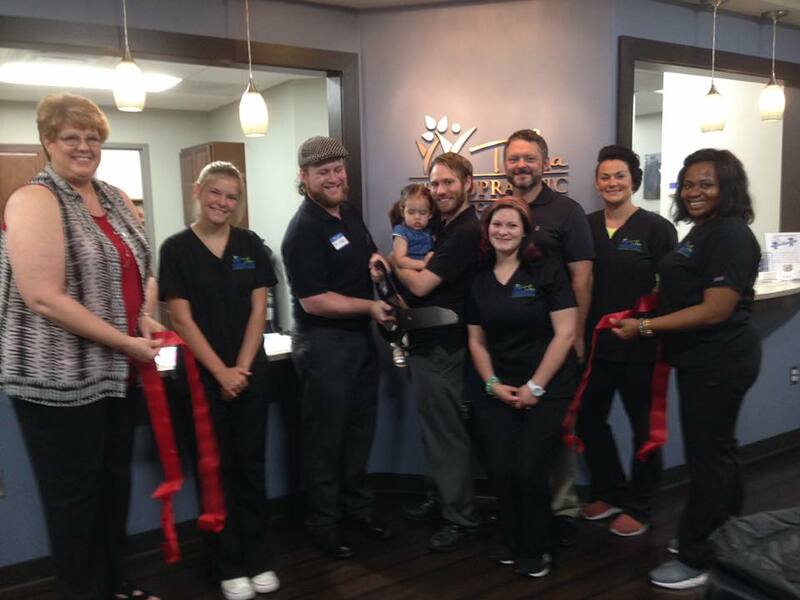 Last Friday and Saturday was the Grand Opening at Tulsa Chiropractic Associates. It was a great success! We had a lot of people drop by, get tours of the office and check out all our modalities, all the kids had fun with the balloon guy and the bounce house, the food was good, and I got to be live on the radio! I just wanted to thank everyone who came out and supported us. I can't wait to see you again soon!